Your clients come to you for beautiful nails, and by extension, beautiful hands. You can apply gorgeous color and stunning art to their nails, but unless the health and beauty of the skin is maintained, hands will show their age. It’s easy to recognize the telltale signs of aging on the hands. Thinning of the skin and volume loss is a hallmark of aging skin and will happen faster when combined with chronic sun exposure. The loss of plumpness (subcutaneous fat) in the skin causes the hands to have a more ‘bony’ or ‘skeletal’ appearance. Blood vessels and tendons become more visible and the texture of the skin is more ‘crepey,’ (like crepe paper). In addition, sun spots — brown spots on the tops of the hands (lentigos) from chronic sun exposure in years past — come out as we age. 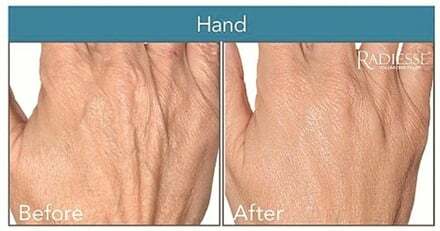 Klein explains that, like facial rejuvenation, a combined approach works best to combat aging hands because skin ages in several ways: It thins and becomes dry, lax, and fragile; brown spots develop, and it becomes more transparent, making blood vessels visible. Cosmetic procedures exist to address all of these issues. Klein’s treatment protocol combines three to four different treatments, including lasers, Intense Pulsed Light (IPL), and fillers. For smoothing wrinkles and scars and lightening brown spots, lasers and IPL work wonders. The laser’s light energy penetrates the top layers of the skin to resurface it and stimulates collagen growth. Laser treatments usually last between 15-45 minutes. Because the laser treatment works with your body’s natural skin cells, results take 1-3 weeks. IPL, a technology similar to laser, is good for eliminating age spots and small blood vessels. The light energy penetrates the top skin layers and destroys the pigment (age spots) or blood vessels, and the body’s natural repair mechanism eliminates the damaged tissue. These treatments run anywhere from $200-500 per treatment, and several might be needed. If you don’t keep getting sun exposure, Klein says, the results from lasers and IPL can be permanent or last for years. Often the most dramatic cosmetic benefit is with injectable dermal fillers. These fillers can hide blood vessels and plump skin. For volume loss, Klein uses Radiesse and Voluma Juvederm. Radiesse is a calcium-based injectable gel that replenishes skin’s lost volume and stimulates collagen growth. Voluma Juvederm is a thicker injectable hyaluronic acid gel that works similarly and instantly adds volume. These treatments run $1,000 to $2,000 and will need to be redone every nine to 24 months. What if your clients don’t have the money or inclination to visit a cosmetic dermatologist or plastic surgeon for hand rejuvenation? Fortunately, topical products have come a long way in the past few years, and there’s a lot you can do to address your clients’ concerns right in the salon. “Products need to address multiple factors of aging in the hands, primarily volume loss and pigmentary changes,” explains board-certified dermatologist and nail specialist, Chris Adigun, MD. “Volume-restorative products can act to address volume loss in the upper layer of the skin. Key components here will be products that are hydrating to restore the ‘plumpness’ that has been lost.” Adigun suggests using products with hyaluronic acids and ceramides (proteins that assist in maintaining moisture). Hyaluronic acid is a naturally occurring substance in the human body that maintains skin’s elasticity and moisture. It creates a moisture barrier on the skin when used topically. Ceramides are lipid molecules that are found in high concentrations within cell membranes. In skincare products, ceramides strengthen the skin’s natural barrier, protect it from environmental factors, and restore moisture. Adigun explains that other volume-restorative products focus on collagen stimulation in the deeper layers in the skin. These components will restore volume loss that makes underlying veins and tendons more prominent. Look for alpha hydroxyl acids (AHAs), retinols, and antioxidants. AHAs are derived from milk and fruit sugars. Lactic acid and glycolic acid are the most common alpha hydroxyl acids. They penetrate the skin very well and are available in various concentrations; the stronger concentrations are used in chemical peels. Retinol, a form of vitamin A, is a powerful exfoliant that stimulates the production of hyaluronic acid and collagen. Retinols are extremely effective at reversing sun damage, treating acne, and firming the skin. According to WebMD, research has found that antioxidants, specifically vitamins C and E and selenium, can help protect the skin against sun damage and skin cancer. In fact, some of the discoloration and wrinkles associated with aging may actually be reversed with the use of antioxidants, as they work by hastening the skin’s natural repair systems and preventing further damage. And what about those brown spots? “Products that focus on skin pigment alterations will be more exfoliative, as many of the pigmentary changes from aging and sun exposure cause superficial pigment deposition,” Adigun says. “These products can lead to significant improvement. These include: plant extracts, alpha hydroxyl acids (AHAs), retinols, bleaching agents such as hydroquinone and kojic acid, among others.” Plant extracts are naturally derived substances that gently exfoliate the skin. Look for fruit enzymes such as bromelain (from pineapple), papain (from papaya), Emblica (Indian gooseberry), and pumpkin. Both hydroquinone (a chemical compound) and kojic acid (derived from several species of fungi) work to lighten melasma (skin darkening), brown spots, and freckles by inhibiting tyrosinase, an enzyme needed to make melanin. 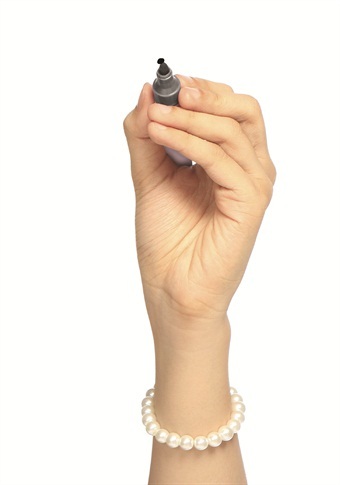 The bottom line is that it’s important to pay as much attention to our hands as we do our face. Klein suggests using the same rejuvenation products on hands that you would use on your face, moisturizing often, and using sunscreen, reapplying it throughout the day.